Citing a source on Chinese microblogging site Weibo, Letem svetem Applem reported on Wednesday that a so-called "Apple Pencil 2" will arrive this spring, featuring a new magnetic system that will allow it to temporarily attach to an iPad. 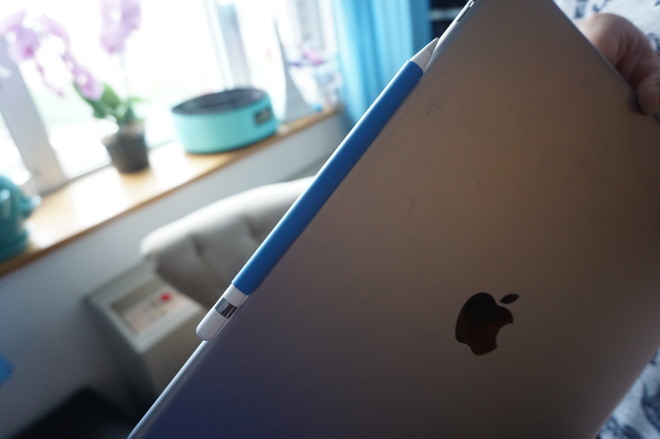 This would allow users to place the Apple Pencil on the iPad securely when not in use, allowing it to attach magnetically just like the iPad Smart Cover. Apple has filed patents that showed interest in allowing users to attach the Apple Pencil to the bezel or side of an iPad. And there are third-party Apple Pencil sleeves on the market that accomplish the same— such as the Moxiware Apple Pencil Magnet, which AppleInsider reviewed favorably last year. In addition, Wednesday's report suggested that the "Apple Pencil 2" could also include a standard pen clip, allowing users to clip the Apple Pencil to their pocket for easy access. Clips commonly found on pens also prevent them from rolling away on a desk. The Apple Pencil first launched in the fall of 2015 alongside the 12.9-inch iPad Pro, and support was later added by the debut of the 9.7-inch iPad Pro in the spring of 2016. Both models are expected to be updated this spring, which would make an opportune time to debut the second-generation Apple Pencil as well. Both new iPad Pro models are rumored to feature a next-generation A10X processor. The smaller Pro model is also expected to sport a slightly larger display sized at 10.5 inches, which would allow it to pack in a 326-pixel-per-inch density, matching the pixel density of the 7.9-inch iPad mini. Currently, both the 9.7- and 12.9-inch iPad Pros have a lower pixel density of 264 pixels per inch. 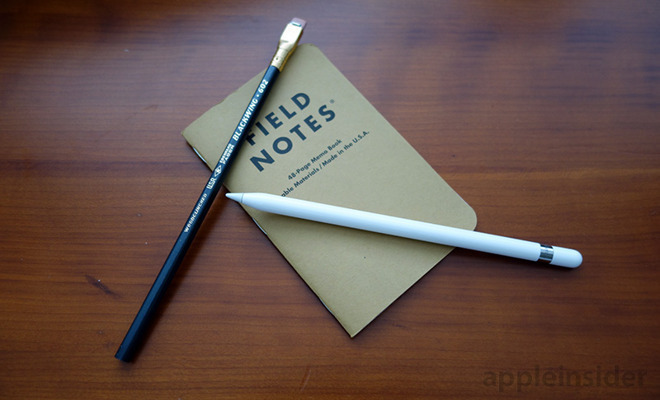 The $99 Apple Pencil is intended to serve primarily as a drawing and writing tool. It features advanced sensors for tilt and pressure sensitivity, allowing greater precision than a typical stylus.